Session Fee: Standard Sessions are between 1.5-2hrs long so double most other therapist times that maximise effectiveness. Coaching is usually 1hr, Therapy sessions are 2hrs. London £245 per standard session. Smoking cessation both Manchester and London 3-4hrs £490. Light Therapy – Photobiomodulation – Laser Light Therapy (increases cellular ATP level for body healing) London £125 per hour of light therapy. Manchester £180 per standard session. All sessions are to be completely paid for 2 days before. Always contact me to tell me of any delays. Please note for future reference, fees may be subject to addition of VAT that you will be made aware of at the time of booking. If you require an emailed invoice please say so at the time of booking. Deposits: Due to a commitment of a full day with me, full day sessions such as Life Coaching Foundation day and Breakthrough Days (for complex or long standing issues) require a non refundable 20% deposit. Deposits are always required for Breakthrough Sessions and security on London sessions. If you accept the session you accept all terms and conditions. All deposits are non-refundable and remaining fees are non-refundable within 48 hours of the session start time. If you are sick and cannot attend the session we will rearrange though the deposit will be required again. If Health-Success for whatever reason cancels the appointment you will receive a full refund or offer to rearrange the session to your preference. If you cancel and rebook your deposit will be forfeit. See below for rebooking fees. If the therapist cancels your session within 48hrs of the session you lose all funds if that reason is because you have failed to provide requested in-take form or Pre-Session Questionnaire information or, you have been abusive to staff or the therapist. See full terms below. If the therapist cancels the session for their own personal reasons you will be offered a refund or a new date for the session and the 48hr policy will stand for that session. Postponed and Re-booked sessions made within 48hrs of the session start time that are accepted and moved to a new date by the therapist will lose the right to any refund as the original date for refund will have passed. The new booking slot may be subject to a rebooking fee such that if you accept the rebooked date, any new booking fee will be due no later than 48hrs prior to the new session start time. If you fail to pay the rebooking fee by the session start time, you will lose the session and all previous monies will remain non-refundable. We may also refer the debt to a collection agency. You may be required to pay for a session in full at the time of booking. Unpaid funds may be referred to a collection agency if the amount remains unpaid following the booking and your details will also be transferred to the collection agency in order for the to carry out this service. You will receivewritten notification of this outlining instructions. All information contained within the website are the copyright of Diane Beck. All information contained on this website is the intellectual property of Diane Beck and the directors of the company. You must not copy, reproduce or tamper with any of the information or recordings or images on this website without prior written consent from Diane Beck at Health-Success. This web site is owned and operated by the director of Health-Success. Visitors to this web site are bound by the following terms and conditions so please read these carefully before going on. This web site may include website links to other external web sites. These links are provided for you in order to help you find other relevant web sites that may be of interest to you, services or products that may be of use or interest. It is your responsibility to decide for yourself whether any other these sites or services are suitable for your purposes and you alone. We are not responsible for these web sites or information they contain, practices, opinions or data protection. This web site contains material which may include text, moving images, photographs and other images and sound, which are protected by copyright and/or other intellectual property rights. All copyright and other intellectual property rights in this material are either owned by the director of Health-Success or have been licensed to it by the owner(s) of those rights. You may not: broadcast, copy or distribute, alter or tamper with in any way or otherwise use any written, visual or recorded information and other material contained in this website unless clearly stating the original source and with prior written permission. These restrictions apply in relation to all or part of the material on the web site; you must not remove any copyright, trade mark or other intellectual property notices contained in the original material from any material copied or printed off from the web site; link to this web site; assume logo or branding or name without our express written consent. You must adhere to use the products as directed. These terms and conditions are governed by and to be interpreted in accordance with English law. In the event of any dispute arising in relation to these ‘terms and conditions’ or any dispute arising in relation to the Health-Success website whether in contract or tort or otherwise the English courts will have non-exclusive jurisdiction over such dispute. ‘Therapy’ is the time spent with the Therapist who will apply their chosen method of therapy application and modality. The ‘Session’ is the booked time slot and arranged time working with the ‘Therapist’. ‘Modality’ is a model of study for therapeutic application. The area of therapeutic study and application. Havening is an example of a modality, as is TFT and they may be combined or used separately and required specific study in and of themselves. The ‘Problem’ is what the client wants to work on with the Therapist. The ‘Desired Outcome’ is the desired result of the work the therapist and the client work towards achieving. The ‘Company’ is Health-Success and DB Creative Development Ltd. The Therapist will only work on one Problem per session unless agreed in writing prior to the session. For example a client may not enter a session changing the agreed problem or adding more to be worked on with the therapist in addition to what was agreed. “Can we also work on ‘x’ ‘y’ or ‘z'” will not be accepted and the client should only expect to focus on the initial problem. After accepting an appointment with Health-Success Therapist or assistant by either telephone or email, you the client in accepting the appointment accepts the following conditions for the appointment. Booking can only be made on the phone calling either Manchester 0161 949 8181 or London 0207 118 3738 or a session can be arranged via an email from the domain name health-success.co.uk and you must have received a confirmation email in the form of an invoice or agreement in writing form [email protected] or [name]@health-success.co.uk. The therapist requires the client to be truthful and work in the best interests of the agreement between the therapist and the client. The client agrees to provide the therapist will all pre-session written work the therapist will request and in the manner and format the therapist requires it. The client agrees to complete all the required tasking as issued by the therapist within the timeframe it was requested. The client also agrees to provide all written pre session work to reach the Therapist my email no later than 48hrs prior to the booked session. No handwritten posted notes can be accepted as it is not always possible to collect in person prior to a session and the therapist asks the client to observe this request and make the therapist aware fully of any complications to the provision of the required written work. If the pre-session work is incomplete or the client ignores this request the Therapist reserves the right to cancel the session without refund. This written work will always include a pre-session questionnaire which must reach the therapist by email or agreed method in writing at least 48hrs prior to the booked session. Other pre session work may be asked to be in the form of a diary of a habit, note taking around the problem or carrying out a physical task related to the clients problem. Lateness: You are paying for the time with the therapist and you agree that arriving for the session and to the session venue for your own session is fully your responsibility. The session will be terminated if the client arrives over 30 minutes late to an appointment and no refund will be given in any circumstances even if the client wishes to cancel the session due to emergency or unforeseen circumstances out of their immediate control as the strict 48hr cancellation policy will still apply. If the client arrives late the client will not receive extension of the agreed time nor will they be offered or entitled to a rearranged session and all terms and conditions relating to conduct, session termination and working relationship will apply. The therapist is not required under any circumstances to go beyond the arranged session finishing time and will terminate the session at the end of the arranged time. The Therapist is not required to continue over the arranged time slot if the clients hasn’t reached their desired outcome. It is not the responsibility of the Therapist to achieve the desired outcome for the client, the client takes full responsibility for achieving this and works with the help of the therapist. The therapist takes no responsibility for achieving the desired outcome for the client, in fact this is impossible and the client must be aware of their full responsibility for achieving their own goals and outcomes. Health-Success therapist Diane Beck will use reasonable care and skill in providing the service that you choose. Every client is different and so every therapy session is different and there are no guarantees of successful results. It would be unethical to provide a guarantee for a client’s treatment of therapy or coaching, there is no medication, operation or procedure that has a 100% success rate across the board. In the small percentage of people that the therapy is unsuccessful for we do not offer a refund or part refund. Diane Beck does not accept any liability in relation to the therapy and modalities used in session and on this website. Diane Beck does not accept any liability in relation to any of the recordings or correspondence and it is up to the discretion of the user to determine if they are appropriate. Smoking Cessation is priced at £490 flat rate. Break-Through Full day sessions £1200 for my Manchester office location, £1500 for my London office locations. Other Locations: If you do require another venue the price is on agreement in addition to the aforementioned fees. 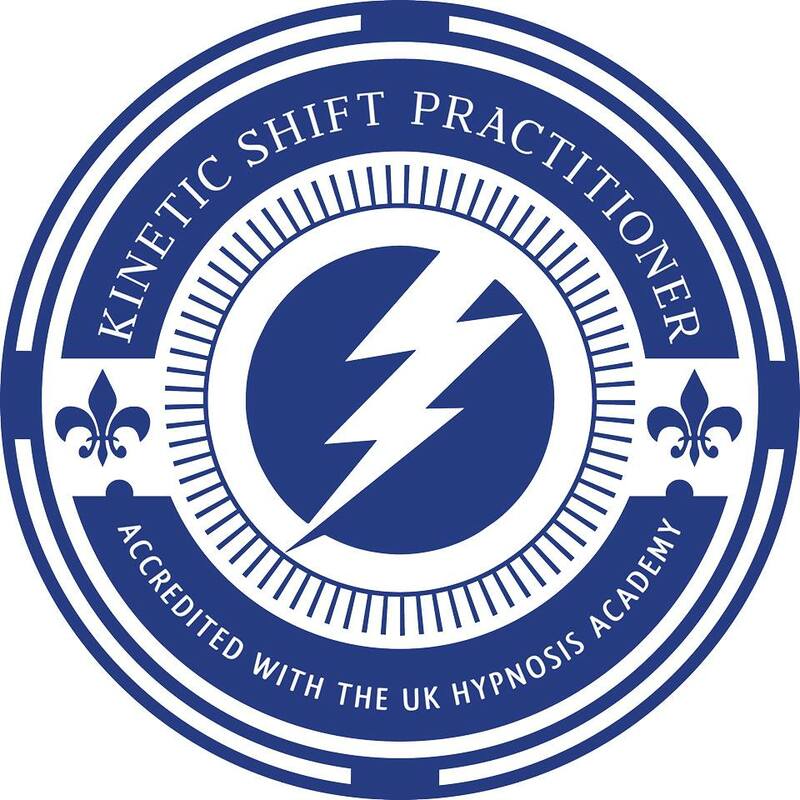 In London all regular sessions are priced at £245 per 2hr session slot of Therapy or Coaching. Online or phone Sessions are priced at £180 per 2hrs. I prefer to use Zoom as it’s encrypted. It’s an excellent way and convenient method to make changes in the comfort of your own office or home. For Breakthrough Days, a third Non-refundable Deposit must be made on booking to secure this and paid on the phone with the therapist or by bank transfer 24hrs from booking the appointment or you risk opening the slot and appointment with the therapist [email protected] Final payment of the remaining Fees must be paid 48hours in advance of the arranged session start time. If a client doesn’t pay the initial within that time, the session will be cancelled. That session slot will then be made immediately available to other clients and may be directly offered to another client on the waiting list. No refunds will be given. For regular sessions (outside the Break-Through day bookings) that include the 2hr and 4hr slots, the payment must be made 48hrs prior to the time of the appointment, that if cancelled over 48hrs in advance a full refund will be given. If cancelled within 48hrs, a 50% refund will be given. Within 24hrs cancellation no refund will be given. Regular Sessions: Anything other than a Break-through day is treated as a regular session regardless of the timeframe and can be up to 4hrs. Agreed ‘Booked Sessions’ in writing by me or my secretary the from Health-Success.co.uk email, must be paid for in full before any time spent with the Therapist can commence. Health-Success Therapist Diane Beck asks requires 48hrs cancellation and rearranging a session to obtain a full refund. In regular session bookings, for you to receive a refund of all monies paid, you must cancel in advance of 48hrs. To avoid any doubt or confusion, 48hrs is exactly 48hrs prior to your specific booked time slot, so a 4pm booking on the Thursday must be cancelled by 3.59pm on the Tuesday of the same week. No refunds will be given when the 48hr prior to the session start time ‘threshold has passed. This is non negotiable. At the discretion of the therapist another date may be offered though all 48hr refund rights for the new session are void as the original session start time still stands. If the therapist cancels or moves the session due to their reasons or the companies reasons, you will receive a refund and may be offered a new session start time and date. Non-Payment: If we do not receive payment we will choose to assume you do not wish to commit to the appointment and will cancel and/or give the appointment to another client. You will be required to rebook. Cancelling or Moving a Break-through day over 48hrs in Advance: The 48hr cancellation policy in relation to Break-through full days of work, which are 6-10hrs of work and follow up sessions, will be full refunded only when cancelled over 48hrs of the time of your booking minus the initial deposit. The follow up time cannot be exchanged for money or another session and must be taken within a week of the breakthrough session at the slots suggested by the therapist and accepted by you when arranging the breakthrough session day. It is part of the process for the therapist to follow up with you. All monies paid from the initial deposit in all cases is non-refunable regardless of how far in advance you create the booking and cancel the booking. Cancelling or moving an appointment within 48hrs loses the right to any refund. If the appointment is rebooked it may be subject to a room rebooking fee that will be explained to you at the time of rebooking. If you accept the rebooking fee which will also be sent to you by email, then that money is required no later than 48hrs prior to the session start time. Cancelling a breakthrough day up to 48hrs in advance and over 24hrs: If you cancel a Breakthrough day over 48hrs prior to your appointment you lose the initial deposit only and are refunded any moneies in addition you may have paid. If you only paid the deposit no refund of any further money will be made. In all cases any cancellation or moving of a Breakthrough days results in the loss of the initial deposit. If cancelling within a 48hr period you forfeit all the fee and will be required to pay in full for the session if that remains unpaid. This may be passed to a collection agency if the date of non payment goes past a 7day post session threshold. Cancelling or ‘Moving’ a Breakthrough Day Within 48hrs cancellation: NO Refund will be given in any circumstance. A new date for the session may be given at the discretion of the therapist and may also be subject to a new room booking fee. You forfeit any 48hr cancellation policy rights on this session and the original 48hr deadline for the initial session still stands. 1.The client is eligible for a refund if the client cancels or rearranges prior to exactly 48hrs prior to the arranged session. To avoid any doubt 48hrs is exactly 48hrs so in this example if a session is booked for Wednesday at 5pm the 48hrs prior to this session would be 5pm on the preceding Monday. The client will not receive a refund of any monies for any session cancelled within 48hrs prior to a session. In all cases the client will effectively have paid for the session slot. If written cancellation is received within the 48hrs prior to the booked session the client has no claim to this session time and the therapist then reserves the right to offer that time slot to other clients and may book that time slot with another client. The client may not re-book that time slot once written cancellation has been received. At the discretion of the Therapist you may be offered another session in either Manchester or London if a suitable slot is agreed between the therapist and the client and is also available within the following 7 days form the cancelled session. If no suitable and agreed session is available you will not receive a rearranged session and you will not be eligible for a refund. 2.The Therapist reserves the right to terminate the session earlier than arranged. If the therapist and the client agree the problem has reached a satisfactory resolution of the problem that the client booked the session for then the client will not receive a refund of any monies for the remaining time and the session will be finished early. You will be made aware of a realistic time frame based on previous appointments with other clients and the Therapist will arrange the appropriate time slot from the estimation according to previous experience. You will not be made to expect that the problem will require more time than the Therapist deems necessary from previous experience with other clients. Sometimes a client requires more time or less time than expected and this in most cases can only become known in a session when working with the client and Therapist. If you are in any doubt or have any questions relating the the agreed time slot you must raise the appropriate questions with the Therapist prior to booking the arranged session. You are not entitled to any refund or any monies for any remaining time if a session finishes earlier than booked and arranged in any circumstances including those that are out of the control of the therapist or the client. Whether the session is ended earlier or extended, the consultation fee remains the same. 3.I reserve the right to terminate a session without refund if I consider you a personal risk to myself or anyone in the clinic, office or environment. The appropriate services will also be alerted in all cases of violence or personal threats. Vandalism, personal threats, verbal abuse or physical abuse is not tolerated and the session will be cancelled with immediate effect without refund of any monies for any time with the Therapist or remaining time of the booked session. The therapist receives the right to protect the interests of the business and their personal safety and will terminate the session with the client if the business is compromised by the client in any way without refund to the client. 4.The therapist reserves the right to terminate the session if the Therapy is not considered in the best interests of the client and the Therapist reserves the right to not to disclose the reason why and in these circumstances no refund will be given. 5.The length of the appointment is at the discretion of the therapist. Although scheduled for a specific length of time, if the Therapist considers it is appropriate to end the session the Therapist reserves the right to do so. The Therapist can terminate the session if they consider that it is not in your best interests to continue with the session and the therapist is not required to say the reason why. The Therapist accepts Bank Transfer which is the preferred method, or debit or Credit Card payment at a small fee of 3.4% plus 20p per card transaction which can be taken over the phone at the time of booking or at least 48hrs prior to the appointment. Call 0207 118 3738 to make a secure card payment. We do not retain this financial data and it is encrypted on entry. Cash as a general rule is not accepted unless express discussion and permissions have been granted at the discretion of the therapist. Bank Transfers must clear by a deadline of 48hrs prior to the agreed appointment time and are only payable to the account detail you will receive by email. If in doubt, call us on 0207 118 3738. Fees for Sessions arranged within a 24hour period of the session time full fees must be paid and reach our company bank account within an hour of booking. Payment can be taken over the phone. Failure to comply with these requirements will result in the session being cancelled and the session will be opened for other clients to book and may be directly offered to a client on the Waiting List. It is at the therapist’s discretion whether to accept late payment prior to a session. Payments are not accepted during or after a session in any circumstances. In almost all cases, sessions will be cancelled if payment isn’t received 48hrs prior to the session. In the rare circumstances where there was a basis of trust between client and therapist that the client would pay and the client fails to pay within a reasonable time having agreed to these terms, then that debt will be recovered by other means. All late payments will be escalated to a debt recovery process. You have 7 days from the session you failed to provide payment for to pay or this will be actioned. You will receive written notices. Cancellation must be made in writing 48 hours before a session for a refund in full. 48 hours is exactly 48 hours prior to the. arranged time – e.g. an appointment arranged for 2pm Thursday must be cancelled by 2pm the Tuesday before. Any cancellations within the 48 hours period will incur session charge of monies paid. Cancellations and rearranging of a session must be made in writing by email to [email protected] or the Health-Success therapist with which you made the booking. A series of sessions invoiced together of a set of hours are 1 session and treated as 1 session. This session may be split over two consecutive days but is treated as one session. If a client fails to attend one of the appointments they will not receive a refund. If a client fails to give 48hrs notice in writing for the appointment times they will not receive a refund of any amount of remaining time nor will they be eligible to rearrange. You may not be offered another session and the Therapist may terminate the working relationship with the client at the discretion of the Therapist. If you wish to reschedule a booking this must be requested by email to the therapist with whom you made the session booking. This must be made 48hours before the start time of the booked session. Rescheduling before the 48 hour deadline will allow fees to be carried over to the new appointment but under the same terms and conditions for cancelling. 2. You are not permitted to record the session or phone calls unless you have written consent by the Therapist of Health-Success. The Therapist also requires confidentiality of the client and in no circumstances is the client permitted to disclose written, recorded or distributed correspondence of the session, pre-session or post session without the express written consent of Diane Beck. The correspondence and all therapy and coaching advice and application is only permitted to be used by the client for which it was issued and intended. All written and verbal communication is in context with the session and must not be used out of context which could mislead or damage the reputation of Health-Succes or DB Creative Development Ltd. The use of material, coaching or recorded material issued outside the session time is for the sole use of the client for whom it was written and intended. Health-Success will not be held responsible for the use or misuse of any such material. 3.Any material created by Health-Success and DB Creative Development Ltd is the intellectual property of Diane Beck who holds the copyright. The Therapist owns the rights to any recorded material created for the client and requires written consent for any recorded or written materieal to be used in any circumstances other than the purpose of intended use. The client is not permitted to copy, reproduce or display publicly or electronically any recording or correspondence between the Therapist and the Client or issued by the Therapist to the client. The client agreed to use the material as directed by the Therapist.